Dog rehabilitation and conditioning is important for every canine, but as we discuss in “Loving Life on Three Legs,” it’s critical for canine amputees of any age. And now, at-home canine conditioning classes are be a reality thanks to the Fenzi Online Dog Sports Academy and world-renowned canine fitness expert, Dr. Debbie Gross, DPT, MSPT, Diplomat ABPTS, CCRP. Discovering existing skeletal and muscular weaknesses to reduce the risk of damage. Preventing trauma by strengthening core abdominal muscles required for balance and stamina. Entertaining and challenging your dog, physically and mentally. The benefits of learning how to keep your Tripawd fit and strong are endless, which is why we are so thrilled to announce that Dr. 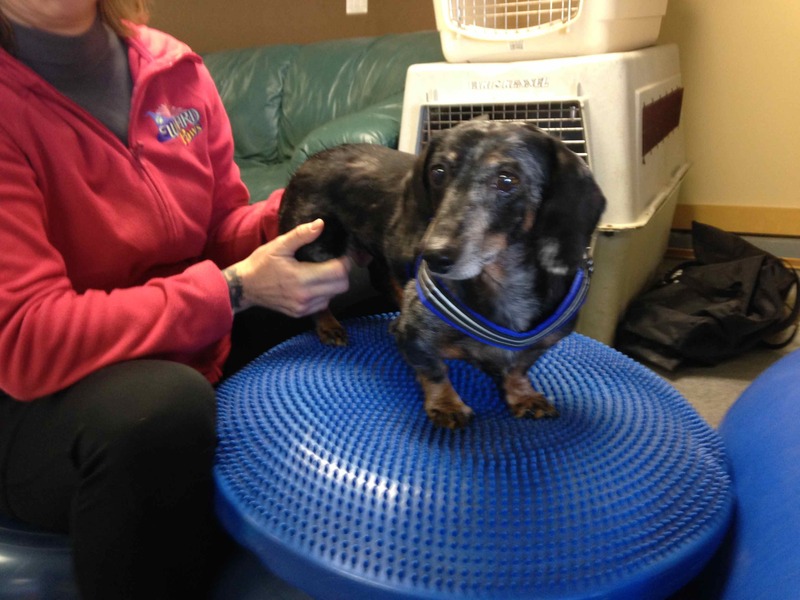 Gross is willing to lead a Tripawd-specific online canine conditioning course starting in April 2015, IF we can get at least six participants to commit to enrolling in this course that begins 4/1/15. UPDATE: Course Registration Begins March 22, 2015. Whatever level you choose, you’ll learn everything necessary for helping your Tripawd live a fit, healthy, hoppy life. 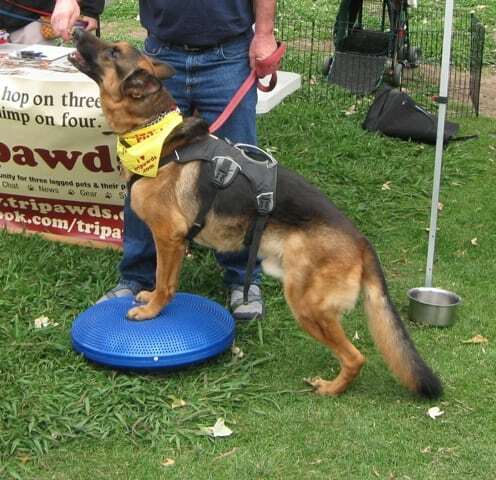 Through weekly course lectures, homework and Discussion Forums, you’ll learn step-by-step ways you can improve your Tripawd’s fitness level. Although it helps if you have purchased recommended FitPAWS canine conditioning tools, not all assignments require this gear. Learn specific exercises and if you’re enrolled at the Gold level you can post your homework videos and photos for feedback from Dr. Gross and other students. 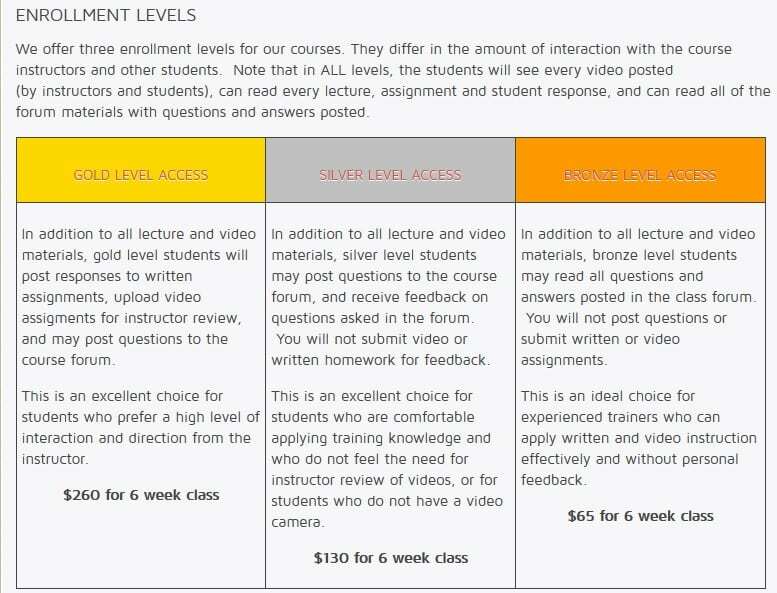 Even if you choose to study at the Bronze level and just read and watch students without actually posting your own questions or exercises, the course is extremely beneficial. 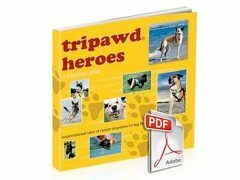 Ready to Get Your Tripawd Fit? This January, about 4 days before enrollment opens, watch for a newsletter that lists upcoming Fenzi classes. You’ll notice the date and time registration will open for the Tripod Conditioning Course, January 22, 2015. Hurry and register! Some classes are very popular and fill in a matter of minutes or hours. A big shout out to Tracy, mom to the amazing Angel Maggie, for this inspawrational idea! Dr. 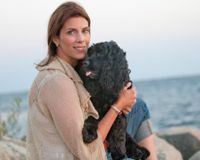 Gross has been involved in the field of animal physical rehabilitation for over seventeen years and currently owns a small animal rehabilitation practice in Connecticut, Wizard of Paws Physical Rehabilitation for Animals, LLC. She received her BS from Boston University, a Masters degree from Quinnipiac College, and her doctorate from the University of Tennessee. She has advanced certifications in her field. She has lectured throughout the world on the topic of small animal rehabilitation for the past twelve years, and is one of the founders of the Certificate Program in Canine rehabilitation from the University of Tennessee. She has published widely on both the professional level and to dog enthusiasts of many venues. Laser therapy has been an interest and passion of hers for over ten years and she is very active in the development of treatment programs and education on laser therapy. NOTE: REGISTRATION FOR THIS COURSE OPENS MARCH 22, 2015. SEE THE COURSE DESCRIPTION FOR DETAILS. Awe, thanks for the shout out Rene!!! 🙂 I’m soooooooooo happy this class specifically for tripawds has been designed by Debbie! Yeah!! I will most likely sign up to watch!!! Can’t wait to see what special things those tripawds will be asked to perform! Tracy this definitely wouldn’t be happening if it wasn’t for you and Maggie, and your continued enthusiasm about the Tripawds community, so 3-paws up to you! Thank you so much. You’re are most welcome! Although I can’t get myself to the forums much(brings back too much heart ache for me)…I do touch base from time to time and check in a little bit…. Hugs to you all! I will be signing up to watch the tripawds…be sure to send a reminder when it gets closer! Picking up our 3.5 month old German Shepard puppy today, his rear leg was amputated yesterday. Swimmers leg that was not corrected by breeder when he was a baby. 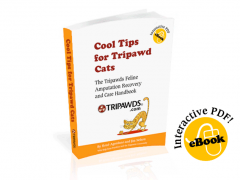 Anypawdy else care to learn how to keep Tripawds fit and strong? I would be interested to know when enrollment opens. Thanks! Looks and sounds awesome! Count the OP in! I’m in!! Do you need to know which level? I am thinking the middle. Thanks! Pawesome! Glad to hear it Lori, Darryl’s gonna benefit so much. No need to choose a level yet. Be sure to see today’s Download’s post for more details.